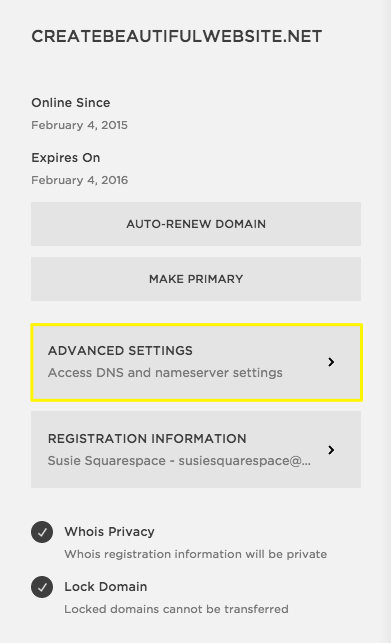 If you have a Squarespace Domain, follow this guide to set up a subdomain. 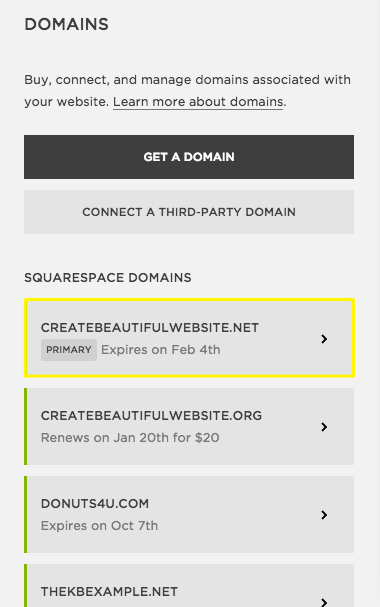 If you have a third-party domain intended for subdomain use, visit Connecting a subdomain to your Squarespace site. A subdomain is an extension of the “root” domain name that forwards to your site. The most common subdomain is "www," as in www.yourdomain.com, where “yourdomain.com” is the root domain. While "www" will always point to your primary domain, you can create custom subdomains that point to the same domain, or point elsewhere. One example would be a domain like “blog.yourdomain.com,” where the subdomain is "blog." Your subdomain is the part that replaces the standard “www” and goes in front of your root domain. This guide is for Squarespace Domains. You can register a free domain for the first year on an annual plan and register additional domains on any plan. If you're directing your subdomain to another page or site, follow our steps for forwarding or pointing a subdomain instead. We recommend reviewing the difference between forwarding and pointing first. Nel Menu principale, clicca su Impostazioni, quindi su Domains. You can also press the ? key while any panel is open and search domains. Click the domain that you'll add a subdomain to. This is your "root" domain, which is the part of the URL that comes after "www" or a subdomain. 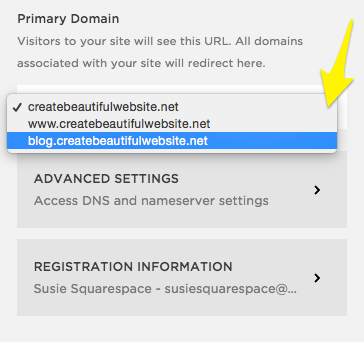 In this example, our root domain is "createbeautifulwebsite.net." In your root domain's panel, click Advanced Settings. 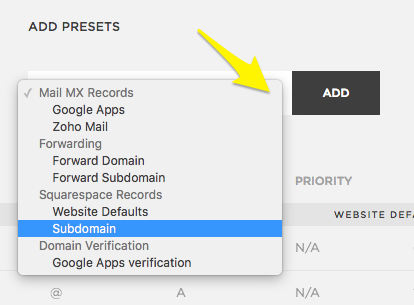 Choose Subdomain from the Add Presets drop-down. Enter your new subdomain (the part before the first ".") in the Subdomain field, then click Add. Your subdomain will appear along with any other defaults or presets in the root domain’s Advanced Settings panel. By default, your subdomain will redirect to your root domain. In the screenshots above, for example, the subdomain blog.createbeautifulwebsite.net will direct to the root domain www.createbeautifulwebsite.org. If www.createbeautifulwebsite.net isn’t the primary domain, then both the subdomain and the root domain will direct to the primary domain. To use a subdomain as your site’s primary domain, choose this in your root domain’s settings. Setting your subdomain as the primary means that all custom domains will redirect to that subdomain. Visitors will always see that domain in the browser address bar no matter which domain they used. Click the domain you’d like to adjust. If this domain isn't your site's primary domain, first set it as the primary before continuing. After this root domain is set as the primary, you'll be able to replace it with a subdomain. From the Primary Domain drop-down, choose the subdomain you’d like to use as your primary domain. All other domains will now direct to this subdomain, and visitors to your site will always see this subdomain in their browser’s address bar. To learn more, visit Setting a primary domain.